How to enjoy your holiday season without gaining weight or getting sick! Do you usually struggle over the holidays with too much to do and not enough time? Do you tend to start the New Year off with pounds of extra fat? What about missing out on fun with family or friends because you’re sick or feeling exhausted? Many of my clients have had similar challenges that they were able to move beyond once they tried a new approach. Doing things the same old way and expecting different results doesn’t work for anyone! It took using some different tools for them to get different (better!) results. The good news is that I’m going to share some tried and true tools that you can start using to make this holiday season your best yet! 1) Enjoy it all…just not all at once. Did you make/have a dozen side dishes on Thanksgiving? Are your holiday menus often overwhelming? Solution: spread it out! Who says you can only have those foods you love on just those holidays? Pick your favorite meals or sides and spread them out during the holiday season and savor them fully in reasonable amounts. 2) Transform your favorite holiday meals! You can upgrade any meal at any time so that it not only tastes GREAT but that you feel great when you eat it. Every client success story I’ve witnessed over the years uses this tool. Maybe you had a meal recently that you’ve loved in the past, but now it makes you feel bloated, tired, or heavy. Try an ingredient swap! You’ll find very similar and equally delicious flavor combos you’ll love that won’t set you back with your health goals. Is there an ingredient you know isn’t working for you? Use good ‘ol Google to search for the meal without that ingredient (common examples are dairy-free, grain-free, or sugar-free). There are TONS of great free recipes to help you get ideas. Here are some of my favorites. 3) Pick active ways to celebrate. What activity do you love doing? Some folks take a walk, others play a group sport or a game, or take the opportunity to try something new. Pick something that sounds fun for you. You don’t have to do the same thing every holiday. Perhaps your new tradition will be finding a new, fun activity to try. Here are some ideas to get you moving and here are some festive family fun options as well. 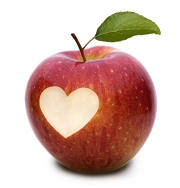 Want some additional tips to support your waistline and immune system? Here you go! Celebrate earlier in the day and get to bed at a reasonable time (lack of sleep weakens your immune system and also leads to poor blood sugar balance (translation: your body will want to store fat and you are more likely to get sick). Staying up later on occasion can be okay, but making a habit out of it will certainly make any goal you have that much harder. If you drink alcohol, sip on drinks and savor them to keep alcohol intake lower. Also have a glass of water in between drinks. Do some emotional “prepping” before partying. This cuts down on nervous eating and drinking & keeps you mindful so you can enjoy socializing even more. Emotional stress is taxing to your physical health: Your hormones, weight, energy, and immune system all suffer when you are feeling stressed, overwhelmed or anxious. Some great ways you can keep your emotional stress level down are going outside for fresh air or a walk, mindful breathing, journaling, repeating words of encouragement or a motivating mantra to yourself (in your head or out loud), thinking of 1-3 things you feel grateful for, enjoying a 3-minute Pleasure Meditation, or using a HeartMath Inner Balance biofeedback device. You’ll benefit the most from doing some emotional prepping in the morning before getting out of bed, at night before going to sleep and a few minutes before going to a party or event. Start by picking one of these ways to prep and do it once a day. You can even do some of these preps while you are waiting at a traffic light, before eating a meal, while drinking water…with awareness, it easily fits right into your day! Have you met anyone who enjoys yo-yo’ing health? Me neither. If you’re ready to get off the seesaw, all it takes is willingness and replacing the tools that aren’t working for you. These tips will help you feel and look great all year long. Pick 1 of these tips to get started living smarter, not harder. Good health is your greatest asset in life! When you feel good, you engage with life more and enjoy life more. Everybody wins! You absolutely can too. http://choosinghealthnow.com/wp-content/uploads/2016/05/apple.png 0 0 admin http://choosinghealthnow.com/wp-content/uploads/2016/05/apple.png admin2016-11-30 06:00:412016-11-29 12:22:11How to enjoy your holiday season without gaining weight or getting sick! One of the things I am grateful for this time of year is you! You’re making this world a better place. And you know who you have to thank for that? Yourself! Because of the little things you do every day to take care of yourself, you are able to share your gifts with the world. When you feel good, you can do more, love more, produce more…and all with a winning attitude. When you don’t feel good, you have less to give. And that’s why today, I’m going to share something fun with you to help you feel good (plus a BONUS GIFT at the end). Last week I shared a breathing tool with you called core-centered breathing so that you could strengthen your tummy & back, increase your energy, and improve your focus (click here if you missed it). This certainly will help you feel good, so for the many of you who’ve upgraded your breathing, keep up the great work! 1) Notice when you are feeling anxious/crabby/sad. 2) Let in some gratitude. This video will do the trick! Gratitude is a super hero emotion that doesn’t just feel good, it actually is good for you. “Research shows that simple acknowledgment of gratitude on a regular basis has major benefits to our health, happiness, and overall wellbeing including making us happier, more social, sleep and relax better, more effective at work, more stress resilient, more optimistic, and extend our lifespan” (Amin, A. )~from my eBook Pleasure Meditation. Use this easy tool to shift your mood as many times as needed throughout your day. The more you use it, the easier it gets, the better you feel and more you have to give to the people & things you care about. Sending you gratitude and wishing you a terrific holiday! I have a BONUS GIFT for you! Put a quick reminder on your calendar for Saturday, Nov 26th! 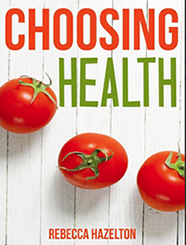 For 1 day only, my popular eBook Choosing Health will be on sale for just $.99!!! That’s 67% off! Thanks again for being awesome! Choosing Health Tribe, you are in for a treat! Today, I am going to show you an amazing tool you can start using right away to flatten & strengthen your tummy, increase your energy, improve your focus, AND protect your back. It’s a breathing technique I learned while becoming a certified Egoscue Method® Postural Alignment Specialist and you’re going to love it. Now here is how you make your breathing work in your favor to help you get a flatter, stronger tummy, more energy and focus, and healthier back..and it’s simple! I’ve even made a short video for you. 1) Easiest way to start is to lay on the floor with your knees bent and put your fingers on each side of your waist. As you breathe in, breathe into your waist rather than your shoulders. It’s going to feel different than what you are used to! A huge benefit is that you get about 30% more oxygen with this method (hence feeling more energy, focus, calm…and lowering stress hormones is great for your waistline!) and you give your core an awesome workout with every breath! As you replace shoulder breathing (aka north-south breathing) with core-centered breathing (aka east-west breathing), your deep tummy muscles become stronger. The benefit to you is less “pooching” out of your tummy and a lot more stability for your low back. Plus, your neck and shoulders will love not doing a job that was never supposed to be theirs. 2) This is NOT the same as “belly breathing”, it is more side to side as well as in your low back, using your core muscles 360 degrees (like a cylinder). As you breathe, you should feel the muscles in your waist push into your fingers. You’ll get the hang of it in no time! If for some reason you don’t, let me know because that indicates something is up with your posture that likely needs adjusting with some simple stretches to restore function to this area of your body so that you too can enjoy the benefits. I always love getting your emails and feedback so please, let me know how you are doing and if you want more tips like these. Enjoy your flatter, stronger tummy! Omg, I need a hug! Do you? Choosing Health Tribe, I know many of our emotions are running at extremes after the election. I had the most craptastic sleep of my life on Nov 8th (and the 9th wasn’t much better). Change can be scary, especially when you doubt or fear the source of it. Today, I am going to show you 2 amazing tools you can start using to more easefully manage your stress. I use these tools EVERY single day as part of my toolset for managing stress and so do many clients of mine. Let’s take the next 30-60 seconds and do them together right now . 1) Start with your breath. Which part of your body is tense? Take a moment and focus your breath either in your low belly or your heart area, whichever feels best for you. Breathe in and out of your nose with your attention on your belly or chest area. Take 2-5 conscious breaths with me. 2) Next ask yourself, “What do you LOVE?” What do you deeply care about? I want you to bring up feelings and images of the things that you care so deeply for that you can’t help but smile and feel better when you think of them. As you’re doing your breathing, laser focus on 1 of these things you love and FEEL that love in your body right now. I’m imagining hugs! Deep, warm, heartfelt hugs from my loved ones. I can feel the hugs and the love they bring to me right now. Ahhh, that feels better. 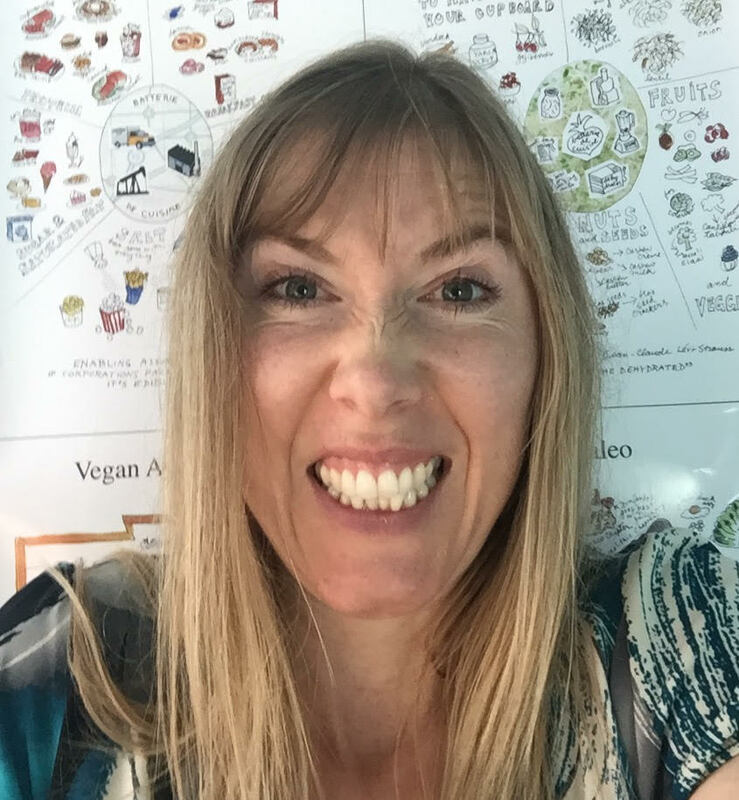 I hope that this taste of stress resilience coaching was helpful to you. I always love getting your emails and feedback so please, let me know how you are doing and if you want more tips like these. Sending healthy wishes and a big cyber hug to you! http://choosinghealthnow.com/wp-content/uploads/2016/05/apple.png 0 0 admin http://choosinghealthnow.com/wp-content/uploads/2016/05/apple.png admin2016-11-14 11:50:062016-11-14 11:50:06Omg, I need a hug! Do you?